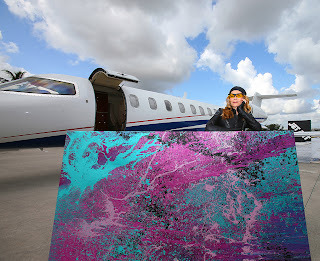 When BizAv Meets the Art World: A Princess and Her $11 Million Dollar "Paintbrush"
When we think of artists, the visual that comes to mind is usually of a person perched atop a stool, palette full of paint daubs in one hand, a brush in the other. Gentle sounds of flute music waft in from the next room. Around the small studio are splashes of color...years of stray paint that has managed to miss the canvas. A small window lets in the raw light of a brilliant Paris morning illuminating the beret that the "art-teest" wears proudly. Apparently, Tarinan von Anhalt, a German Princess by marriage, has never seen that movie, as she has a slightly different way to create art. 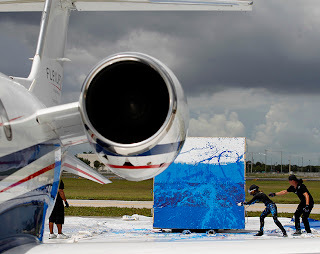 It involves a tight protective latex suit, safety goggles, a very large canvas, and a few thousand pounds of thrust blasting out of the business end of a Learjet 45XR. The "paintbrush" is a Honeywell TFE731-20 turbofan, capable of throwing 3,500 pounds of heat, thrust and hurricane-force wind out its backside. With brakes firmly locked and the ramp covered in a large amount of plastic dropcloth, a Flexjet pilot eases the power up on von Anhalt's command. At about half power, the petite princess - in a form-fitting black suit that looks like a cross between a SCUBA diver and a motorcycle-riding Ninja - grabs canisters of brightly-colored paint from her many assistants and cautiously steps into the jet blast. With movements that appear at first glance as wreckless abandon but in fact are thoughtfully made, von Anhalt assaults the canvas with erratic but intriguing "brush strokes"...no two are ever alike. With "thumbs up" or "thumbs down" hand signals, the artist instructs the pilot to adjust the Learjet's power as she reaches for the next color. In a matter of minutes, she manages to avoid becoming a piece of airborne FOD, and has created another incredible piece of Jet Art. "Yes, every painting is unique and can’t be recreated, it’s very special," von Anhalt says. 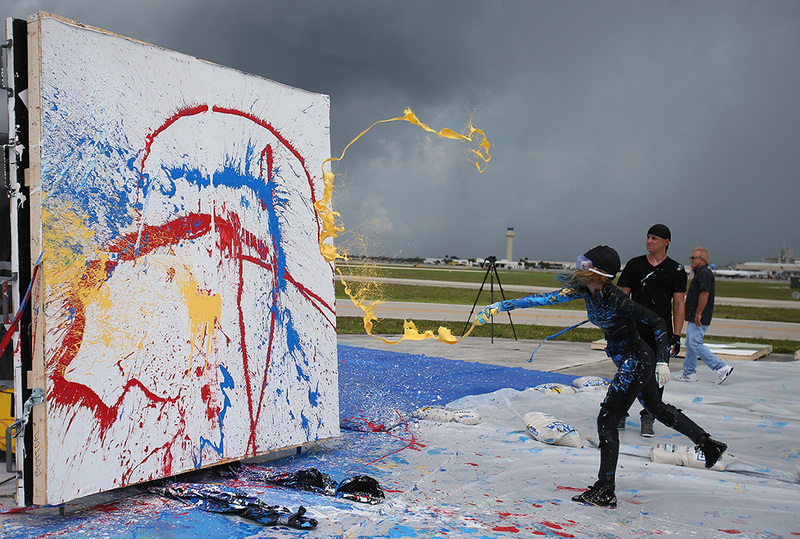 "I stand sideways while moving into the jet stream, and by the end of the session, I am covered in paint. Danger is always present when you work with this type of art form. It’s thrilling! The blast of the jet engine creates a texture and structure that simply cannot be achieved by a brush or a palette knife, as well as a unique paint combination. I'll hurl paint into a force of approximately seven tons, several times greater than hurricane winds. The heat and velocity dispensed from the engine will blend and weld the paint onto the canvas, resulting in unusual abstract paintings. 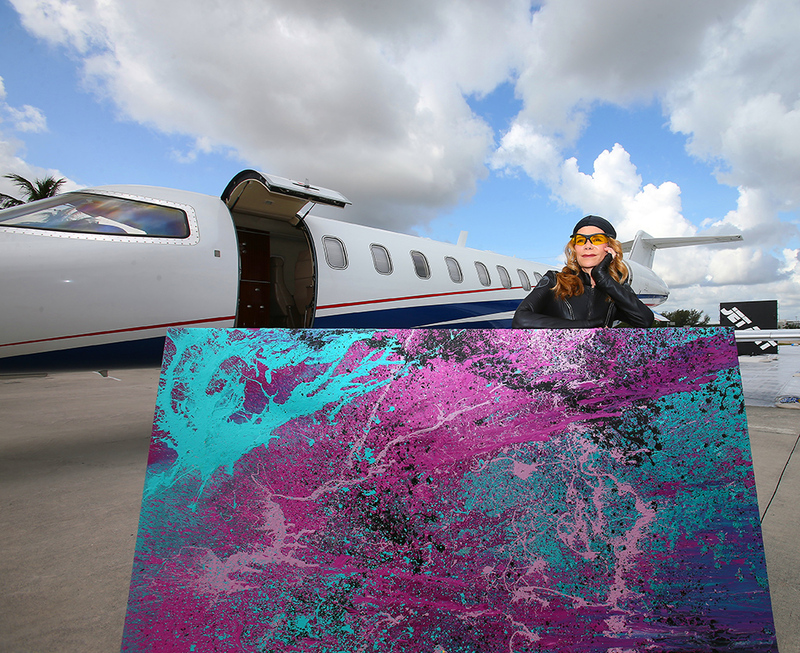 In 2008, I became the first woman in the world to brave the jet stream to create art." 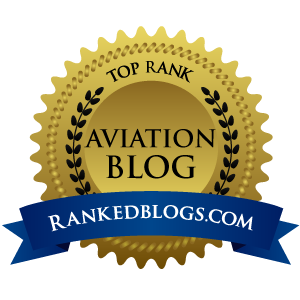 There are times like this when an aviation story comes along that screams for coverage on Airplanista. Like my tagline says..."Sometimes Serious, Sometimes Humorous, Always Unpredictable!" When Flexjet pitched this piece to me, they sold it as an "off-beat aircraft story that might be of interest" and they were right about that! I knew it would easily satisfy the requirement for "unpredictable" content. 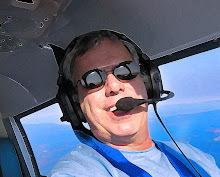 I'm always on the lookout for these types of non-standard aviation stories, and this one did not disappoint me as a writer. Any time you can afford to crank up a large, expensive business jet engine for the sole purpose of blasting pigment-infused liquids through the atmosphere at warp speeds until they collide with canvas in an incredibly beautiful explosion of color and design, I'm all over it. 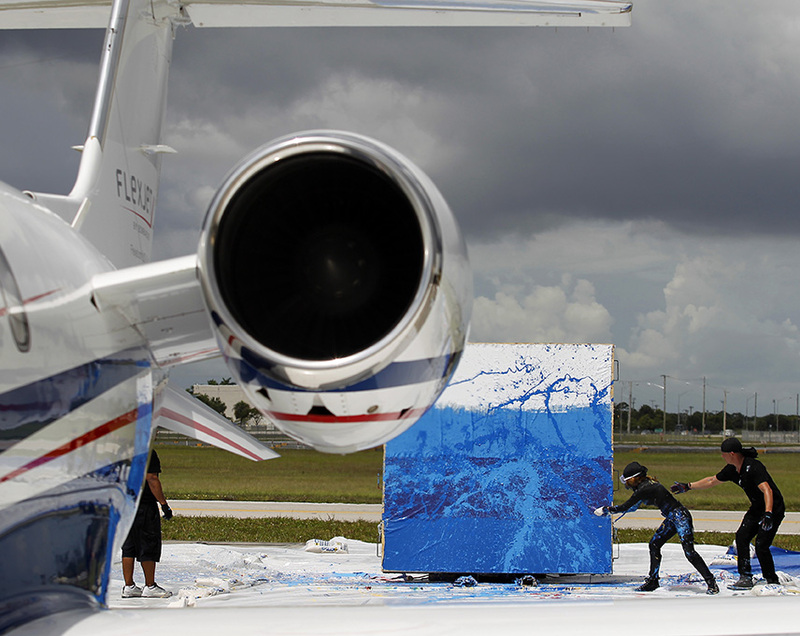 It would have been fantastic to hop a spare seat on an eastbound Flexjet positioning flight to see this Jet Art demo in person. Now, as I reflect on this story, I have to wonder if I can ever watch any "normal" painter perch atop a stool and SLOWLY dab bits of paint onto a small artboard because it just sounds so...boring!